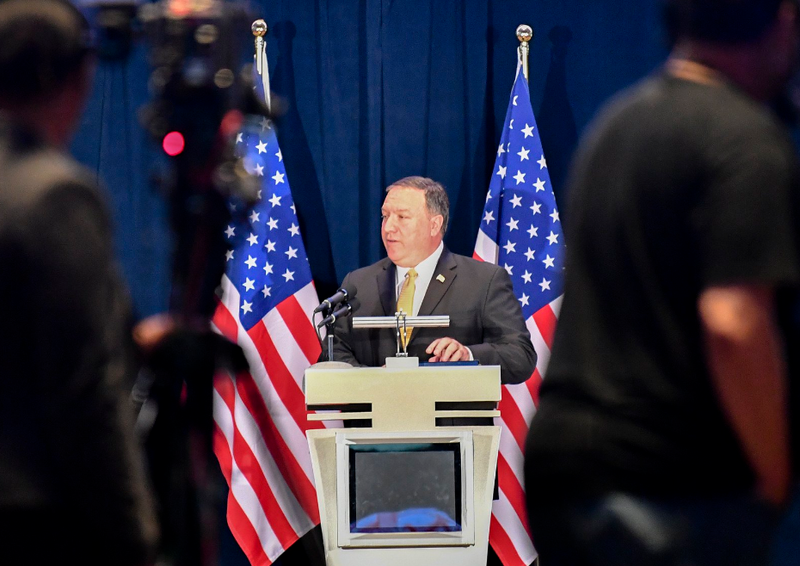 Secretary of State Mr Mike Pompeo seems to have picked up lessons from POTUS on how to deal with reporters when he lashed out over a question on the subsequent dealing with North Korea after the Singapore summit earlier this week. The MSM wants war with the Norks as they cannot accept that POTUS is doing a great job. It will go down in history as doing such against such harsh critics as the demifools and MSM. All that is good but what about south Korea and their discomfort? Have we put the relations with them on a back burner? They should be taken into full confidence before doing anything with the north Koreans. the liberal fake news is mad because Trump is doing a fantastic job. This NK summit must have the Liberals going bananas. Trump did something they could not and it did not cost US Taxpayers 5 plane loads of $$$$$. I don't know why they let the liberal press in past the outside door!